1. I would have had to have had the foresight to make an archive of the list while I was a member. 2. I would have to be the sort of sleazeball who would be willing to sell private, off-the-record information for money (I think the term “Judas” comes to mind). 3. I would have to be the type of vermin that is willing to do business with Andrew Breitbart, who is a poster boy for the descent of the conservative movement into pure, malicious spite and partisan paranoia. Alas, none of these condiditions applies, so I’m out $100,000. 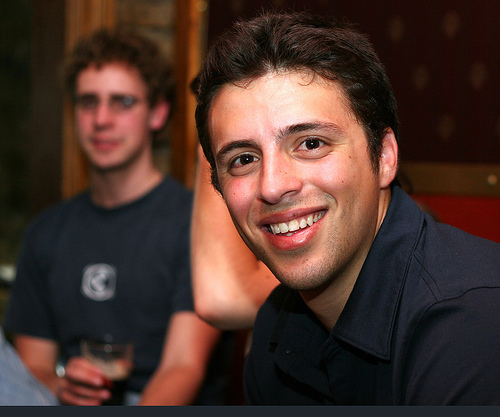 Why Do They Hate Ezra Klein? Ezra Klein: How can you hate this man? One of the interesting subplots of the recent drama of David Weigel and Journolist (the private list-serv where Weigel made remarks that led to him parting ways with his employer, The Washington Post) is the revelation of how much certain writers hate Ezra Klein, the founder of Journolist. (See this post by Jeffrey Goldberg as an example ). Earlier examples of Klein hatred can be found in the collected prose of Mickey Kaus. Kaus faces is usually twitchy with tics but it becomes especially contorted and grotesque when Klein’s name is mentioned. What’s going on here? Why is Klein so hated in some circles? 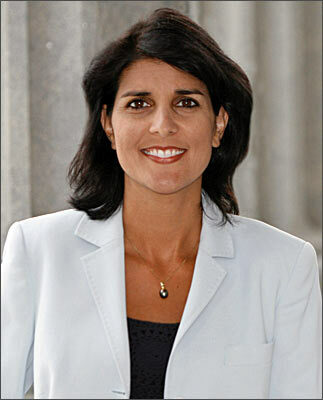 Nikki Haley, the new face of the Republican party. Historical memory might be on the wane elsewhere but it is very much alive in South Carolina, a state whose expansive cotton fields and stately plantations memorialize the paradox of a genteel civilization built on centuries of slavery and segregation. So the world perked up to the news earlier this week that Tim Scott, an African-American legislator, won the primary to be the Republican candidate in the state’s first district, beating Paul Thurmond, a son of the late Strom Thurmond, the fabled segregationist who represented the state as a Senator from 1956 to 2003. Dave Weigel is leaving the Washington Post after some creep leaked off-the-record comments he made on a private list-serv. Matthew Yglesias and Adam Serwer have both written superb blog posts that pretty much say everything that needs to said on the matter. But I want to make a few points that need to be stressed in the strongest possible terms. 1. Dave Weigel is a great reporter who has covered a tough and important subject (the conservative movement) with fairness and intelligence. The real losers in all of this are the readers of the Washington Post, who will no longer benefit from his intelligent and informed reporting. 2. Whoever leaded those private emails is a lowlife. The leaked emails were deliberately choosen in a way to make Weigel look bad and hurt his career. 3. In the back of all this controversy was a kind of conservative identity politics. Some conservatives are upset because Weigel is covering the conservative movement but he’s not part of it. Conservatives usually decry the sort of sort of identy politics that requires only blacks to write about blacks or gays to write about gays, but some conservatives have adopted the same ethos. 4. Every good reporter has private communications — letters, emails, conversations — that make them look opinionated. That’s because any good reporter is a lively and engaged human being with a strong point of view. It’s an absurd form of positivism to require reporters to be a blank slate — no such reporter could possibly exist. The merit of a reporter’s writing is to be judged by whether his or her articles are factually accurate, bring new facts and arguments to light, and advance the conversation on a topic in a meaningful way. By that criteria, Weigel is a superb reporter while some of his critics (notably Jeffrey Goldberg) are far inferior. Yglesias is especially good on this point. Gerald Allan Cohen was a product of the lost world of Canadian communism. His working-class parents were Jewish Marxists who toiled in Montreal’s garment trade. In 1945, When Cohen was four years old, they enrolled him in the Morris Winchevsky School. Morning classes were taught in English and covered conventional topics. But in the afternoon the language of instruction switched to Yiddish, and the lessons included the history of class struggle. One day in 1952 Quebec’s Red Squad raided the school, hoping to find communist literature. The political innocence of Cohen and his classmates was preserved by a quick-thinking teacher who put on a happy voice and clapped her hands as the police arrived: “Children, the Board of Health is inspecting the school and you can all go home early.” Cohen and the other delighted students ran outside, unaware they had McCarthyism to thank for their freedom. 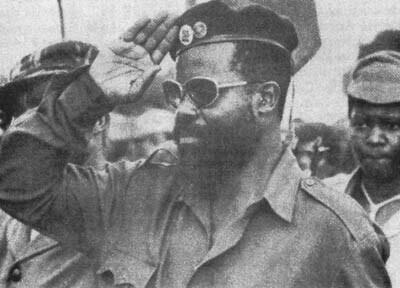 Jonas Savimbi: A Black African worthy of Peter Worthington's respect. As a cultural commenter Wolcott is dauntingly erudite. He can write with informed verve about everything ranging from the film noir classics of the 1940s to the novels of Norman Mailer to the peculiar humour of Benny Hill. But even Wolcott can’t be expected to understand the genealogy of Canadian conservative journalists.